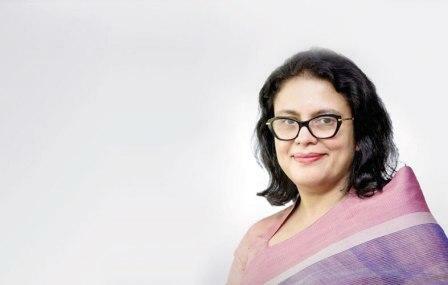 Staff Correspondent: Rubana Huq, Managing Director of Mohammadi Group, is set to be the next President of the BGMEA with a landslide victory in the election, held on 6 April, securing 35 directorships in the board. Some 1,492 out of the total 1,956 voters cast their votes in the election to choose the leaders of the Bangladesh Garment Manufacturers and Exporters Association for the next two years. Her panel, Sammilita Forum, won all 35 available posts for directors. Huq is scheduled to take helm of the BGMEA on April 20. “We need to change the narrative of Bangladesh that it is a country of cheap labour,” said Huq in her victory speech. She also said now is the time for the sector to get its act together. She also said the garment sector's apex trade body will shift its offices to Uttara soon. Regarding the extension of the Accord, Huq said the foreign agency has done a lot of work for Bangladeshi garment factories. “We are very grateful to the Accord. But almost 90 percent of the factory remediation has been completed, so we need a transition from here.” If Accord can follow the eight conditions laid out by the High Court, it can be given the extension for a brief period, she said. “I can assure you that this industry will definitely turn around. It is possible to change if we want to and my late husband Annisul Huq could prove it in his two-year tenure as the mayor of Dhaka North City Corporation,” Huq added. This year, the election got an extra impetus when Shadhinata Parishad, a third panel, entered the fray, with the view to breaking the hegemony of Sammilito Parishad and Forum panels. Due to Shadhinata Parishad's entry, both Sammilito Parishad and Forum joined hands. Zahangir Alam, panel leader of Shadhinata Parishad, said two of his agents have not come in as they were given threats. “We wanted to make two of our candidates agents, but the election commission did not let us,” said Alam, who is also the managing director of the Design and Source, in a written complaint. Earlier, the BGMEA election was held in 2013 and the board continued up to September 2015. However, in 2015 the election was not held as both Sammilito and Forum panels jointly decided to elect the board in consensus. So, Siddiqur Rahman, the current BGMEA president, ran the trade body for three years and seven months -- although the tenure of an elected BGMEA president is for two years -- with frequent extension from the commerce ministry.